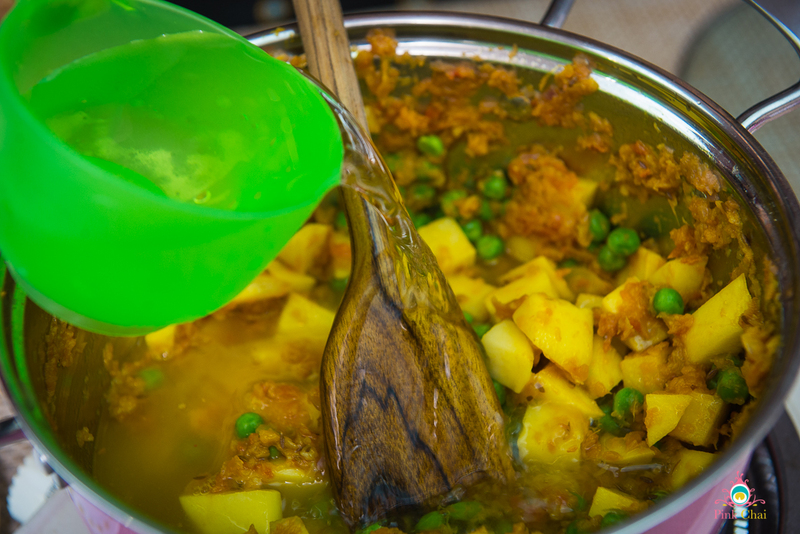 Aloo matar (potatoes and peas) is one of most basic Punjabi sabzis, and is often overlooked as being blah or boring. I remember suggesting my mom make aloo matar once when my sister’s in laws were visiting shortly after her wedding, and she looked at me like I was crazy. 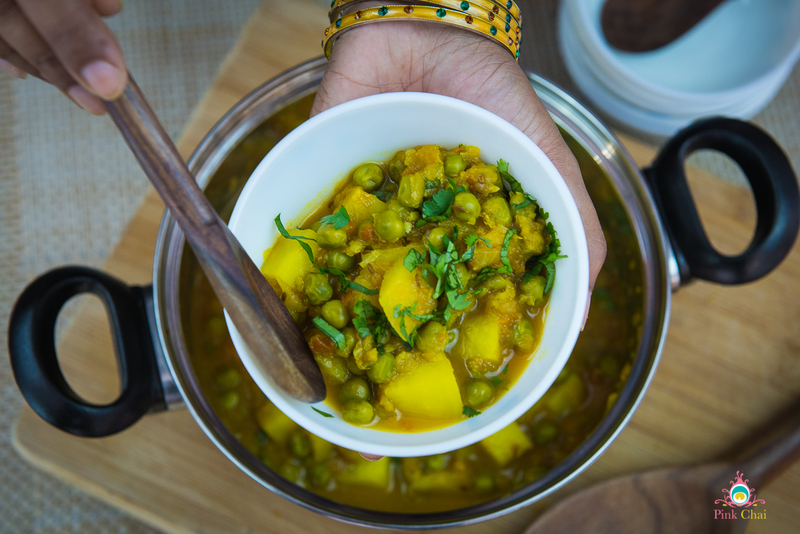 Aloo matar for special guests? Never, unheard of! 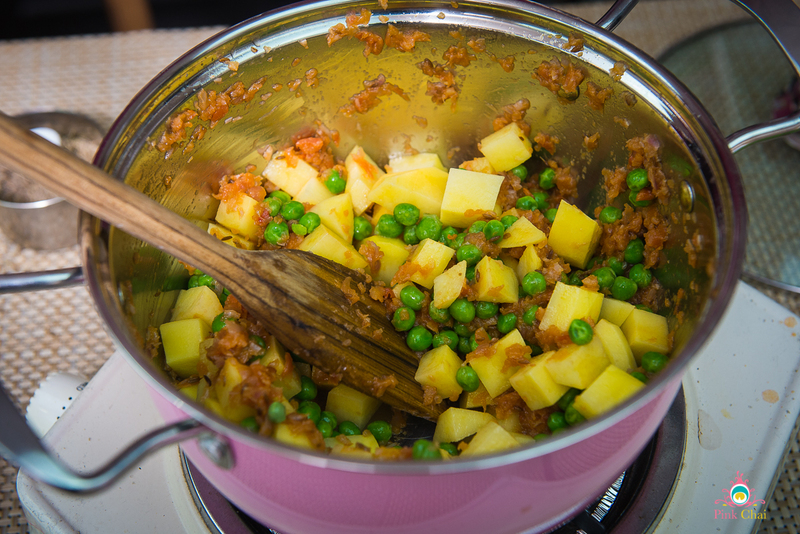 Personally, I have a soft spot for aloo matar; they are nostalgic (my childhood favourite), easy to make, and can be incredibly flavourful. An added bonus is that they are kid friendly if you keep the spice level low, and this is a recipe the kids can even help you make. 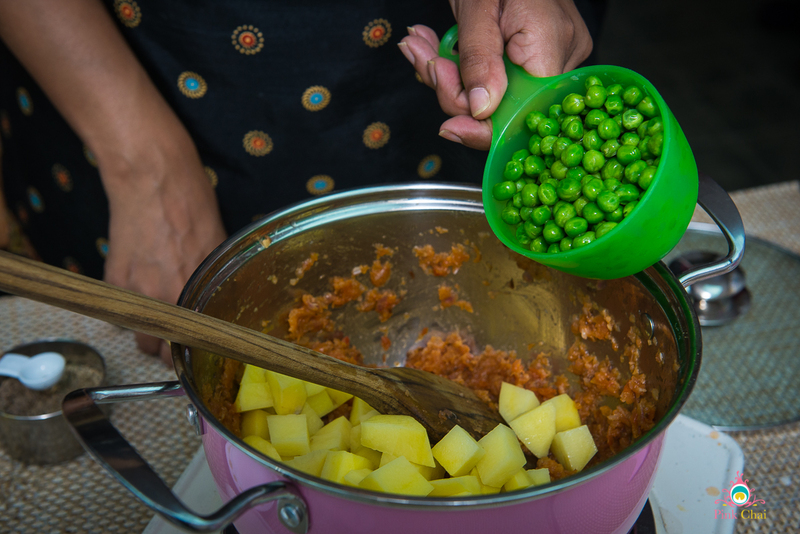 I tend to make aloo matar a lot in the summer when peas are fresh and readily available at the market, but it’s also just as good with frozen peas. 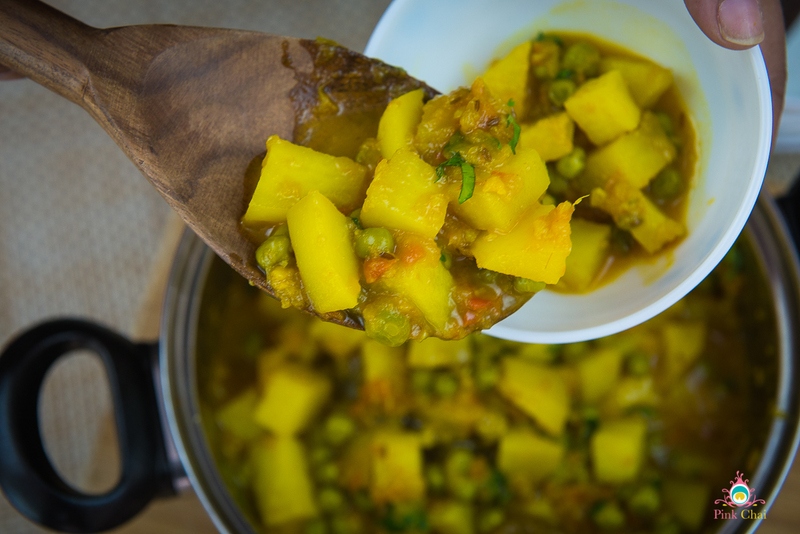 In fact in the fall when the kids head back to school this is a go to sabzi at our house for busy weeknights. 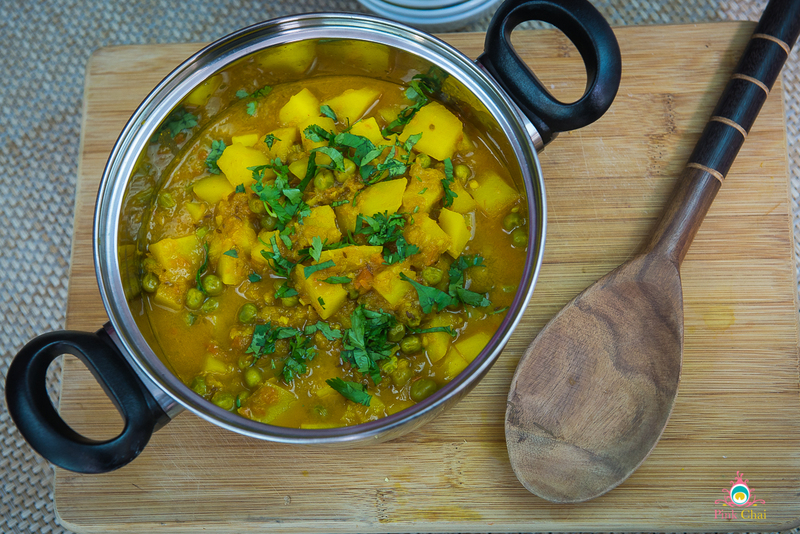 My one rule with aloo matar is to use nice white potatoes. Most people use baking or Russet potatoes, but I don’t like those in this dish. When potatoes are the star of the show then you a beautiful starchy white potato is the way to go! 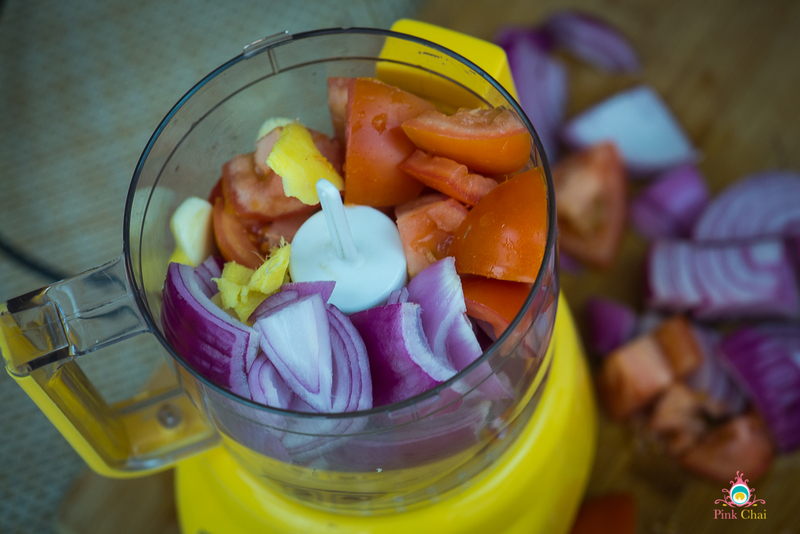 Start by mixing a smooth paste with the tomatoes, onion, ginger, and garlic. I usually do this in my mini chopper and then pass the paste through a sieve to make sure there are no lumps in the gravy. 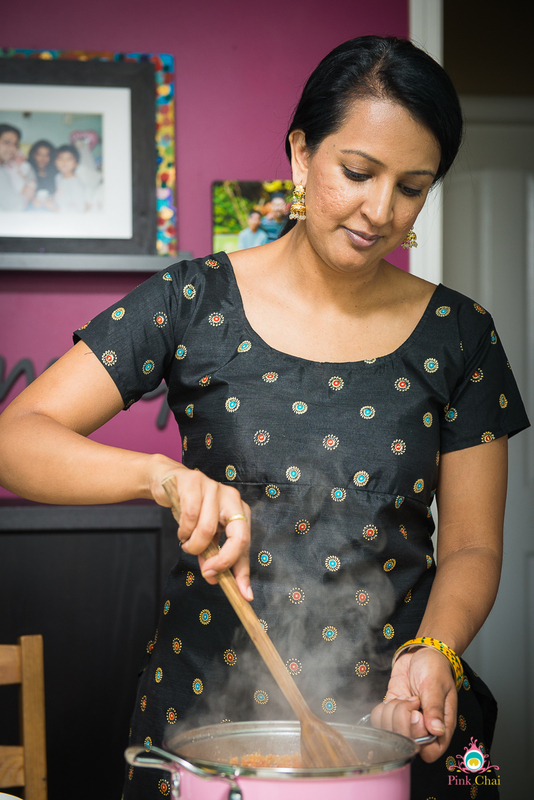 Add about 1 tbs (adjust to your liking) of oil or ghee to a heavy bottomed pan. 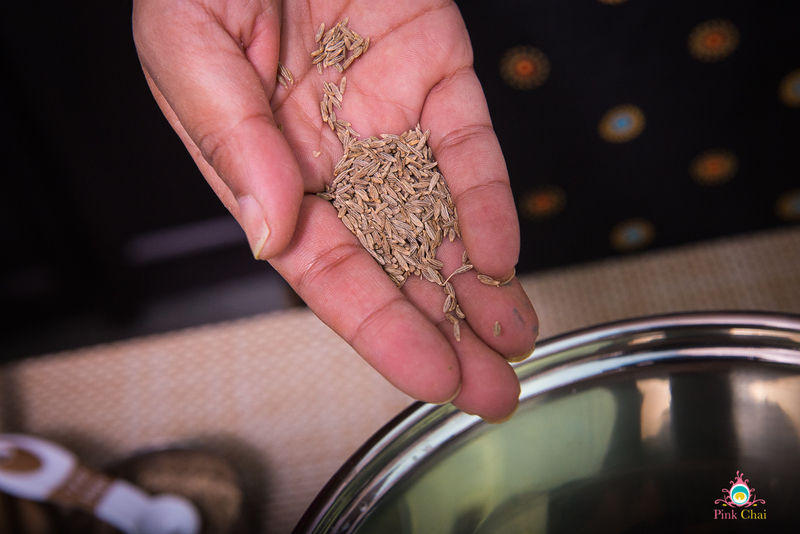 Once it’s warmed up add cumin seeds and let them crackle for about 30 seconds to a minute. You want them to change to a slightly golden colour, not turn dark brown or black. Once the cumin seeds are browned add the tomato paste. The key to a good gravy in any dish is cooking the tomato paste down properly. I usually turn the heat down to medium and stir every few minutes. 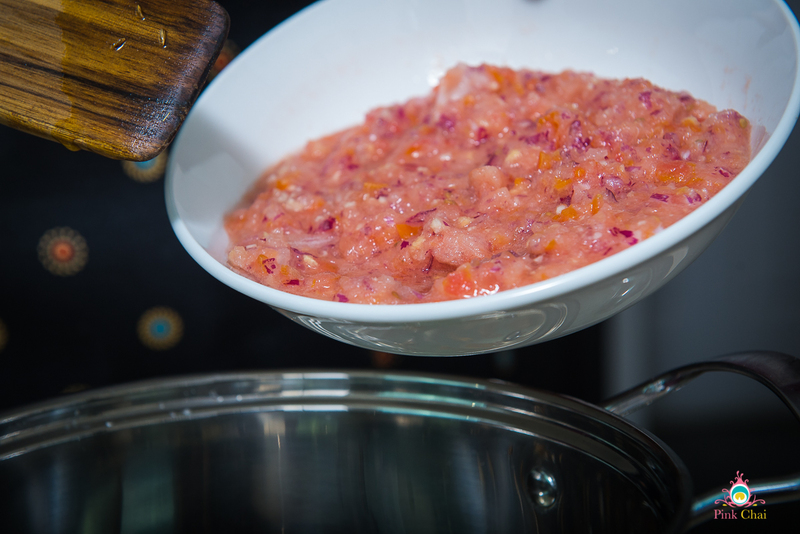 It takes about 8-10 minutes for the water in the tomatoes to dry up completely and the paste to start releasing oil. The paste will also thicken up. Once the tomato masala is done add the turmeric and red chili powder, stir everything together. 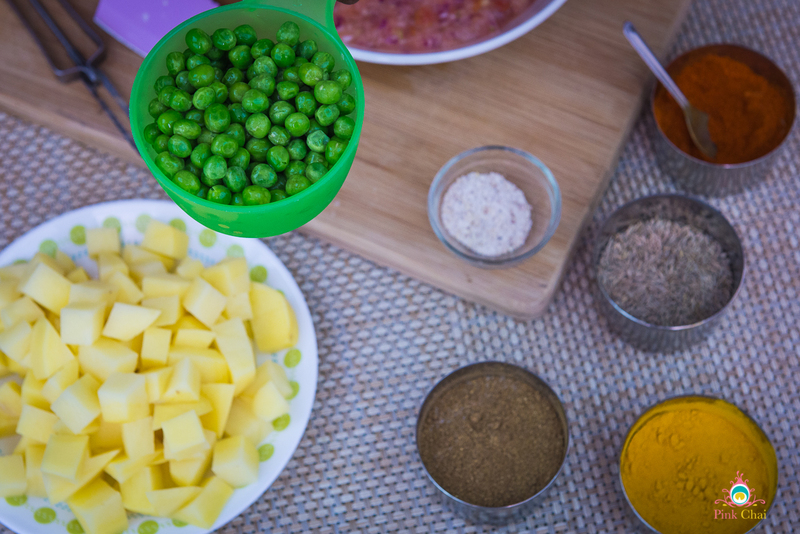 Add the peas and potatoes and mix again so everything is incorporated, and saute for 1-2 minutes. Add the water and salt, stir well and cover the pot. Simmer on a low to medium heat for 12-15 minutes or until the potatoes are cooked through but not mushy. Remove from the heat and finish the dish with a sprinkle of garam masala and fresh cilantro leaves. 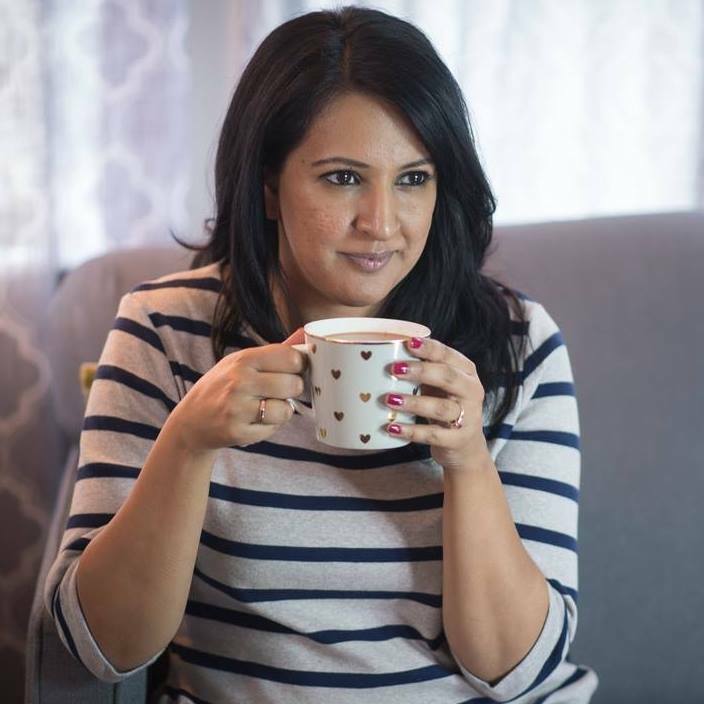 I usually serve aloo matar with jeera rice at my place because that’s how the kids like it, but it also tastes really great with fresh hot phulke (rotis). If you try out this recipe I’d love for you to share a pic! mustard seeds cumin seeds and a whole butternut squash.